Zia Pueblo region, New Mexico, signed by Serefina Bell. Provenance: A Los Angeles California Private Collection of Native American Pottery.. 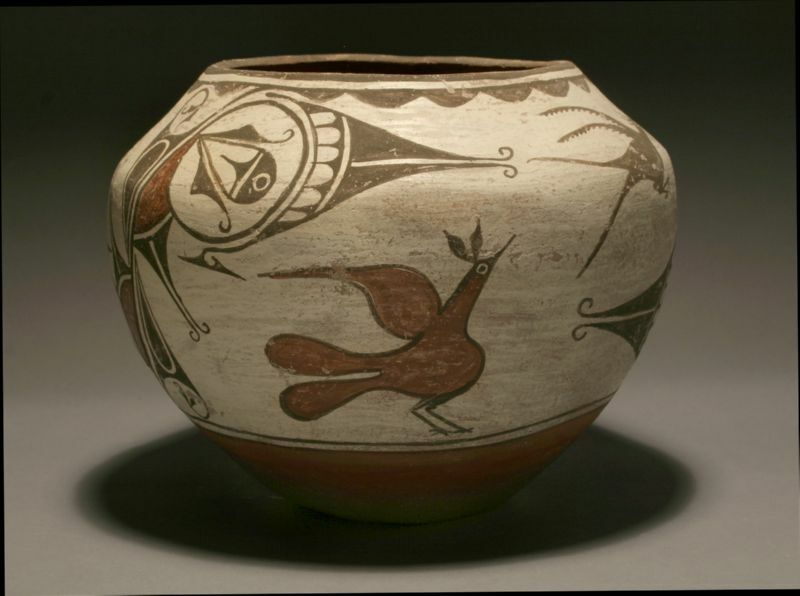 This white-slipped pot with reddish-brown base features three birds, one typical of traditional Zia bird types, and two of which appear to be roadrunners. There are also abstract depictions of geometric designs which have brown, white and black elements.